RONAN — Death is more universal than life. Everyone dies, but not everyone lives. Jim lived. 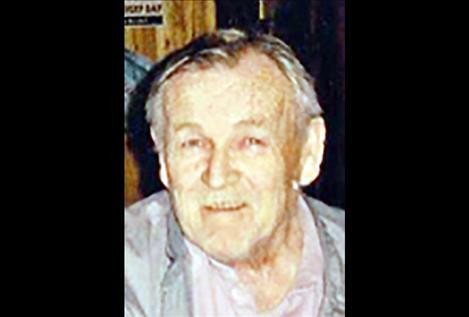 James Ernest Paro, 77, Passed away at his home in Ronan on Aug. 14, 2018. Jim was born in St. Ignatius on Oct. 23, 1940, to Lester Paro Sr. and Mildred Paro. He was raised in Hot Springs. 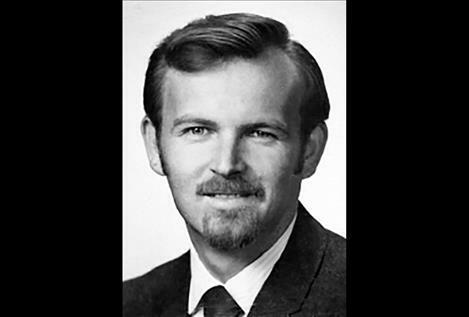 Jim graduated from Hot Springs and went on to attend college at Northern Montana, Montana State University, University of Montana, and taught at Purdue University for the doctoral program as a professor. Jim received numerous writing and literary awards, including five first places and two Best of Contest awards in Purdue University’s annual Literary Awards Competition and he was awarded second prize for Best of Year for Fiction from the Miscellany, a literary magazine. He also published several poems, stories, and articles in various other publications. Jim married Diane Mason of Hot Springs in 1963 and has a son, Kent Paro. They divorced in 1976. After a very long courtship he married Kristine Snyder. Jim worked various jobs for the CSKT Tribe. From 1982-1987 he was the department head of CSKT Natural Resources Department. From 1987-1993 he was the president of S & K Electronics. For a short time he was comprehensive grant administrator for S & K Housing Authority, and a health systems planner for Tribal Health from 1995-1998. For a short time he was administrative services division manager for Tribal Health. In 2001 Jim went to S & K technologies as a management consultant and later was promoted to Aero Space as CEO. He retired in 2016 to his recliner. Jim loved hunting with his brother, Tom (Freddie). He also loved golfing with his buddies and was a great pool player, bowler and loved horseshoes. Jim served two years as a Tribal representative to the Flathead Basin Commission, a regional interagency environmental planning and oversight group. He served two terms on the Board of Directors of Mission Mountain Country Club in Ronan, during the building of the golf course and the clubhouse. He served as chairman of the Clubhouse Committee during clubhouse planning and construction. His hobbies and interests included hunting and fishing, reading, writing, golf, pool, and cooking. Jim is preceded in death by his parents; his brother, Lester Paro Jr.; and sisters, Karen Knight and Glena Winebrenner. Jim is survived by his wife, Kristine Paro; his son, Kent (Chrissy) Paro, Amber (Chris) White, Carl (Dillon) Bishop, and Jeff (Danielle) Thill; his grandchildren, Payton, Kiley, Chantae, Trista, Savannah, Andrew, Brook, Jace and his beloved great-grandchild Josephine. He is also survived by his siblings Toni Mitchell, Penny Ross and Thomas Paro, all from Ronan; as well as numerous nieces and nephews. A Celebration of Life will be held on Saturday, Sept. 8, at 3 p.m. at the Ronan Community Center. Food will be provided. Bring your smiles and stories.